As part of our mission to promote authors, the joy of reading, and to better understand the craft of writing, we’ve paired with the The Norwich Bookstore in Norwich, Vermont to present an ongoing series entitled “3 Questions”. In it, we pose three questions to authors with upcoming visits to the bookstore. Their responses are posted on The Book Jam during the week leading up to their engagement. Our hope is that this exchange will offer insight into their work and will encourage readers to attend these special author events. 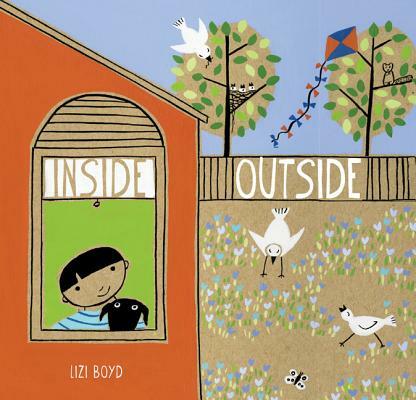 We are excited to welcome author and friend Lizi Boyd, and her latest work , an enchanting picture book called Inside Outside. Ms. Boyd has written and illustrated many children’s books but her talent doesn’t stop there. She also creates other works of delight such as papers and stationery. She also notes that her dogs, Olive and Zuli, assisted in the making of Inside Outside. 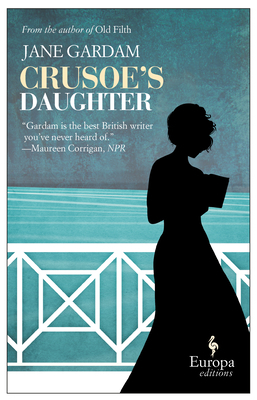 Other reviewers agree with us that Inside Outside is lovely and inspired. Publishers Weekly says, “The story’s greatest charm is in its portrait of a boy who lives alone and is constantly (yet tranquilly) busy.” We are proud to note that she lives in our hometown of Norwich, Vermont. Ms. Boyd will appear at the Norwich Bookstore on March 30th from 10 am to noon. While the book is geared to preschoolers, all ages will enjoy it and all are welcome during this event. And, this time, no reservations are required though you can call (802) 649-1114 to pre-order your signed copy of Inside Outside. 1. What three books have helped shape you into the author you are today, and why? I loved books by EB White; Mistress Masham’s Repose, by TH White, JRR Tolkein and the little books by Edward Gorey and Maurice Sendack. I was given a collection of poems by ee cummings when I was twelve; short verse and small images were strong influences. Our house was filled with art books and artists and at 13 I was given a modern Danish desk. The top drawer was filled with small, spiral bound sketchbooks and I’ve been filling little books since then. 2.What author (living or dead) would you most like to have a cup of coffee with and why? I’d like to have tea with Ursula Nordstrom. She was the director of Harper’s Department of Books for Boys and Girls. There is a wonderful book of her letters, Dear Genius, filled with her encouragement to many: Sendak, Gorey, C. Hurd, Margaret Wise Brown, EB White and on and on. You can hear Nordstrom’s wonderful voice so it’s as intimate as sharing tea. 3. What books are currently on your bedside table? I have stacks of books by my bed, so plenty of choices. Winter reading is varied – warming the room, filling it and quieting it too. Diving Belles by Lucy Wood; Crusoe’s Daughter by Jane Gardham; The Beautiful Mystery by Louise Penny; Winter World by Bernard d Heinrich; The Best of It by Kay Ryan; The Diaries of Paul Klee; Edora Welty.